The team at Martha McCarthy & Company LLP offer warm congratulations to Joanna Radbord for receiving The 2017 Lexpert Zenith Awards: Celebrating Women in Law. This year’s awards celebrate the advancement of women in the legal profession. Each year, the Law Society of Upper Canada awards its top honour – the Law Society Medal – to selected lawyers who have made a significant contribution to the profession. 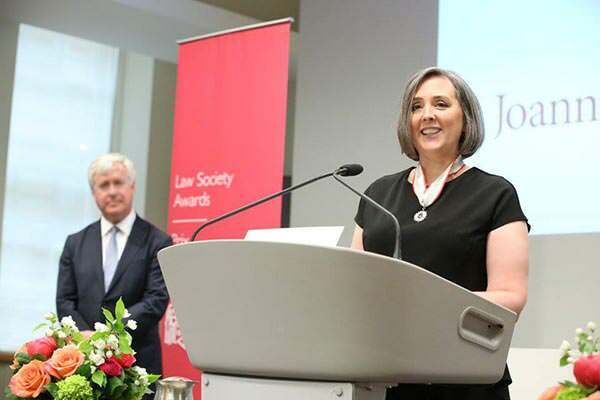 Martha McCarthy & Company LLP is pleased and proud to announce that Joanna Radbord received the Law Society Medal at a special ceremony on May 24, 2017. Joanna Radbord was recognized for numerous contributions to LGBTQ rights, family law, constitutional and human rights in the province of Ontario. The team at Martha McCarthy & Company LLP congratulates Joanna Radbord on this magnificent honour.